The grandson of lifelong drag racer, Chuck Beal, Brandon Welch grew up watching his grandfather race his championship-winning series of Bealmobile alcohol funny cars. Like many young racers, it was his childhood experience at the races that cemented his lifelong dream to become a professional drag racer. Where Brandon deviates from the norm is in how he went about achieving his dream. Brandon didn’t have the opportunity to drive lower-level sportsman race cars in competition, so he worked to excel at the areas he could control: mechanics and business. After high school, Brandon received a taste of driving at Frank Hawley’s Drag Racing School. His teacher was none other than professional funny car racer, Jack Beckman. 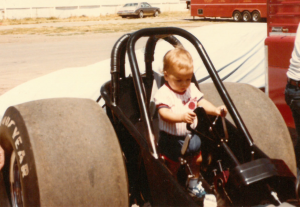 Brandon earned his Super Comp license in a dragster, and used that experience as further motivation to stay focused on his dream. He went into San Diego State University’s College of Business with all cylinders lit. He earned his Bachelor’s Degree in three years and MBA by 23 years old. While working on school and career, Brandon’s involvement with Beal’s race team increased. 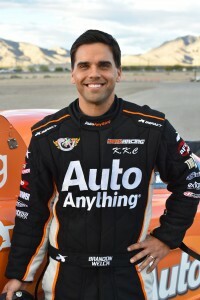 He worked on every part of the team’s nitro funny car, becoming a pivotal part of the crew. Brandon also gained a different kind of racing experience, taking control of many of the day-to-day business operations of Beal Racing. After 17 years on the crew, he still joins the crew preparing the race car for competition. Brandon has focused his off-track life on following his dream to build a racing career. He worked for the San Diego Chargers and Integrated Sports Marketing to learn the business of sports. Then he worked in digital marketing and eCommerce, and most recently he worked in finance as a public speaker and investment banker to refine his presentation skills and learn finance. 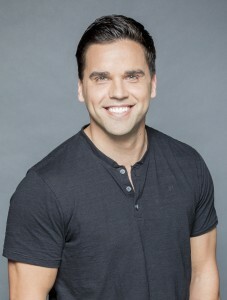 Brandon makes home in San Diego, CA with his wife, Kathryn, and twin daughters, Kate and Claire.